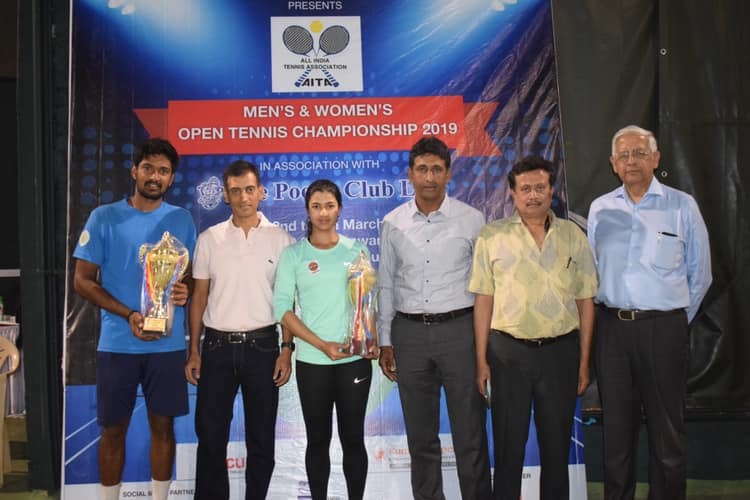 Pune, March 9: Lucky Looser Anvit Bendre from Pune won memorable double crown winning the mens singles and doubles event of the Dhoot Transmission Poona Club Trophy Rs 3. Lakhs AITA Men’s and Women’s Open Tennis Championships organized by Poona Club and played at Poona Club tennis courts. In the mens section in a well contested final Local Lad Anvit Bendre came back from loss of second set to stop giantkiller Delhi’s Second seeded Kunal Anand 7-5, 1-6, 7-6(5)to win his first title of this seasons. 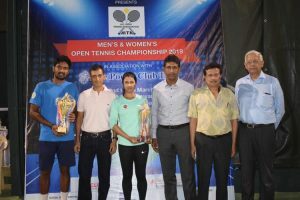 In the Doubles final in the mens section Bendre teamed up with Rohan Bhatia and played out a 2-6, 6-4, 10-5 win over Parikshit Somani and Suresh Dakshineshwar,in the womens event Vaidehi Chaudhari teamed up with Telagana girl Sravya Chilakalapudi to clinch a 4-6, 6-1, 10-5 thriller against Humera Shaikh and Sara Yadav. The men’s doubles winner got Rs 11,340/- and trophy while the women’s doubles winner got Rs 7,560/- and trophy. In the Womens singles final the Hyderabad girl and seventh seeded Nidhi Chilumula rallied out fourth seeded Soha Sadiq of Karnataka 6-4, 6-0 in just 1 hour 30minutes. It was her first singles title of this season who is a employee of Indian oil corporation. 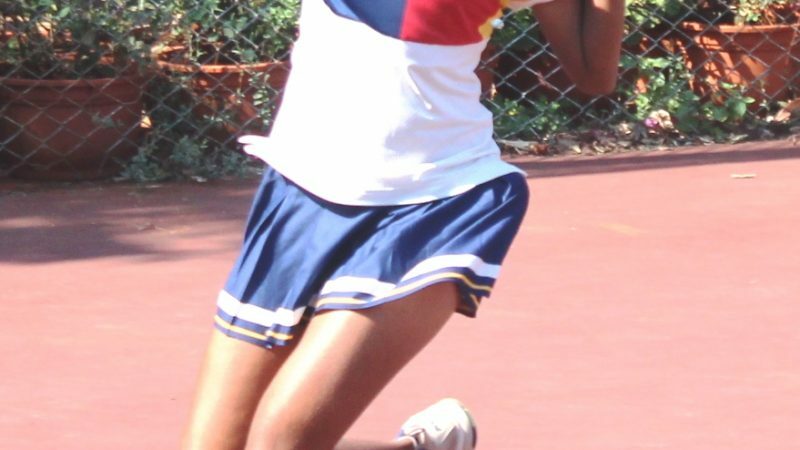 She practices at Cynet tennis academy Hyderabad under coach Ravichandar. The men’s singles winner received Rs. 23,400/- and 35 AITA points while the runners up got Rs 16,200/- and 25 AITA points. The women’s singles winner got Rs 15,600/- and the runners up Rs 10,080/-. The prizes were given away at the hands of Mr. Rahul Dhole Patil, President, Poona Club Ltd, Mr Sachin Rathi, Tournament Director of the event and the Tennis Secretary of the Poona Club, Mr.Nitin Desai, VP of Poona Club. Shashank Halbe, Jaideep Patwardhan, Viraf Deboo and Nitin Kirtane Vaishali Shekatkar were present on the occasion. Sravya Chilakalapudi/Vaidehi Chaudhari bt Humera Shaikh/Sara Yadav 4-6, 6-1, 10-5. 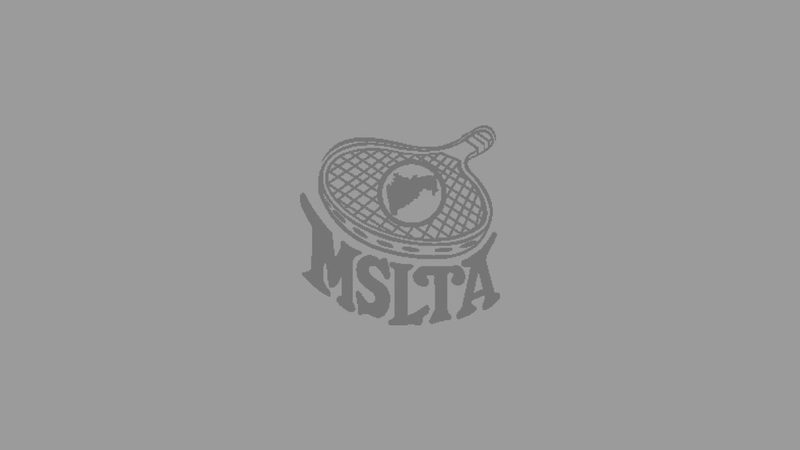 MSLTA All Maharashtra Inter Club Championships from March 22.